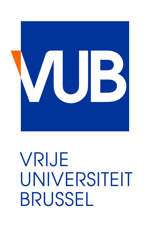 Jessica Bridoux, researcher at the Vrije Universiteit Brussel (VUB), is developing a diagnostic tool to track tumour cells that are trying to hide from our immune system. Jessica Bridoux is a French engineering chemist with a complementary Master’s degree in organic chemistry and is currently carrying out a PhD project in radiochemistry at the ICMI laboratory of the VUB. This project focuses on site-specific radio labelling of Nanobodies targeting cancer cells, for positron emission tomography (PET) imaging applications and clinical translation. The project has received funding from the European Union’s Horizon 2020 research and innovation programme: the PET3D Marie Sklodowska-Curie Action Innovative Training Network.